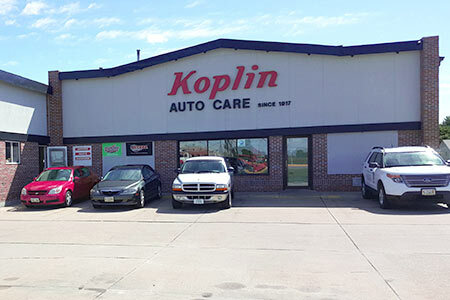 Since 1917, Koplin Auto Care has been serving our community in Fremont with high quality, reliable auto repair and maintenance. Our experienced technicians can service foreign and domestic cars, trucks, and SUVs. For our business neighbors, we offer fleet services to keep your company fleet vehicles on the road and working for your business! With the latest diagnostic equipment, ongoing training, and state of the art technology, our ASE-certified technicians keep up with new developments and changes in new vehicles. We use quality replacement parts to ensure your vehicle repair maintains the standards of the original manufacturer specifications and maintains your manufacturer’s warranty. Our independent auto repair shop is your dealer-alternative, committed to providing equal or better service than the dealership at a fair price. To give you peace of mind, we stand behind our work with the best warranty available, covering both parts and labor for a full two years. 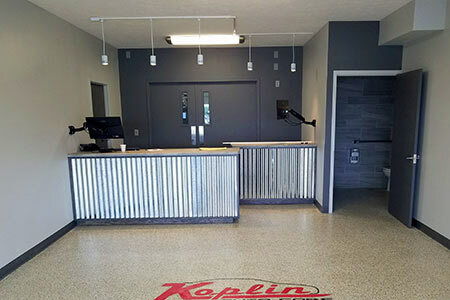 When you bring your vehicle into Koplin Auto Care, our car care experts take the time to explain the service options, maintenance recommendations, and repair service for your vehicle. If you have any questions, we will answer them with straightforward, easy to understand advice so you feel confident and comfortable in your decisions for your vehicle. Koplin Auto Care is a full-service auto repair shop, providing preventative maintenance and extensive engine repairs. View the services available at our Fremont auto repair shop. We also offer car and truck accessories! Our retail accessories department can order and install accessories for your vehicle, or you can purchase accessories to install yourself. To learn more about the services available at our Fremont auto repair shop, view our services page or call 402-721-0596. For over 100 years, Koplin Auto Care has been committed to serving our neighbors in Fremont and surrounding communities. Visit our family-owned auto repair shop anytime or request an appointment online.